Let's get one thing out of the way first: Voice over Internet Protocol (VoIP) remains, technically, disallowed in the UAE. And this is despite the fact that Skype, probably the most popular app that uses the technology, and other similar services can be downloaded at will on the platforms you're using. Free Web-based voice and video calls are even available on the likes of WhatsApp. Earlier this December, Etisalat tweeted that access to Skype had been blocked in UAE for providing unlicensed VoIP service. The basic idea here is that VoIP, being an Internet-based service, carries risks related to privacy issues, voice phishing and hacking, among other vulnerabilities similar to what you can expect with anything connected to the wild, wild Web. In short, it's 'not safe', so to speak. For those sceptical about VoIP in this part of the world - highly doubtful; everyone seems to have his or her own way of using Web-based calls that are, most importantly, free - there's another service that appears to have gained the seal of approval from UAE authorities. The nation's two telecommunications providers, etisalat and du, have both listed a VoIP-based app, Botim, as part of their 'unlimited' voice and video call service. It joins C'Me, another VoIP app that has been available for some time now, as an approved service. Sounds good. But you'll have to fork out a monthly service fee to 'legally' use the service. Both service providers have listed Dh50 and Dh100 as monthly fees: the former is for one user, while the latter is for each member of your family. The fees are automatically renewed per month. Check out etisalat's plans here and du's here. Of course, both you and the party you wish to call should be using either Botim and C'Me to enjoy those endless hours of freebies. The UAE's Telecommunications Regulatory Authority (TRA) has stated that there has been no change in its stance with regards to VoIP, referring to its regulatory policy on the service. It falls at No. 14 on its list of prohibited Internet content. 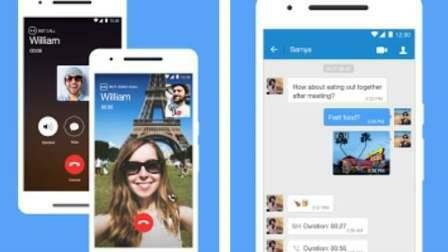 Last year, when Google Duo was launched, many expected that it would be blocked in the UAE. It didn't happen, and it functions normally to this day.